California Highway Patrol officers are seeking a suspect who shot at a car on state Highway 242 on Saturday night, shattering a rear window of the victim's vehicle. The shooting was reported at 9:13 p.m. on northbound Highway 242 at Concord Avenue. Officers found the victim at a Chevron gas station on Willow Pass Road off of state Highway 4 with his Toyota Prius, which had a single bullet go through the rear right window, according to the CHP. The victim, who was not injured, said he had been driving north on Interstate Highway 680 and saw a white Mercedes-Benz CLA 250 speeding and driving in and out of traffic behind him, CHP officials said. Once the Mercedes passed the victim, he decided to call 911 to report it and both vehicles continued onto Highway 242, where the Mercedes came to a stop on the right shoulder south of Clayton Road, according to the CHP. 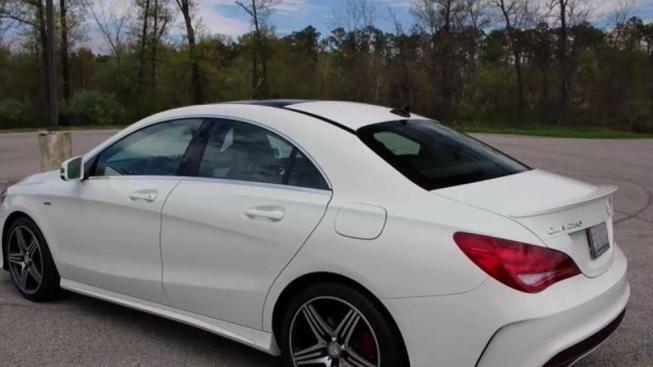 The victim began to slowly drive by the Mercedes to get a good description of it and the suspect when he heard a single shot and saw his window shattered. The Mercedes then drove away and possibly exited onto Concord Avenue, CHP officials said. The victim described the suspect as a white man in his late 20s or early 30s with light or dirty brown hair, and said the Mercedes had only paper plates. Anyone with information about the case is asked to contact the CHP's Contra Costa office at 925-646-4980.